Valmont has taken Jade, To force Jackie to hand over the talisman in his possession but Jackie is not the negoiating type and don't like people messing with his family. Arrow keys: For movement. Z - To punch. X - To kick. Space bar - To block and to grab. There are also other combos you can use just view the intructions in the game. 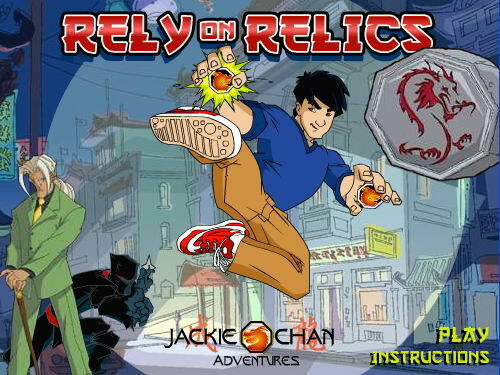 Jackie Chan Rely on Relic is an interesting adventure game for free. Change or replace the PE format executable files(Dll, Ocx, Scr and so on). Folder Icon Changer to change folder icon. A rummy-style card game that let's you play and bet against computer opponents. Qweas is providing links to Jackie Chan Rely on Relic 1.0 as a courtesy, and makes no representations regarding Jackie Chan Rely on Relic or any other applications or any information related thereto. Any questions, complaints or claims regarding this application Jackie Chan Rely on Relic 1.0 must be directed to the appropriate software vendor. You may click the publisher link of Jackie Chan Rely on Relic on the top of this page to get more details about the vendor.